The Shadow Cabinet is a hand-made contemporary sideboard playing with the concept of optical illusion with traditional crafted materials. 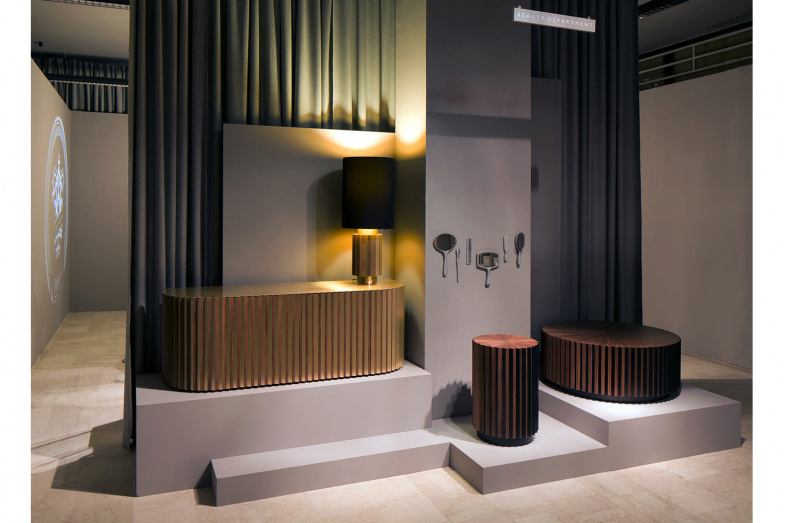 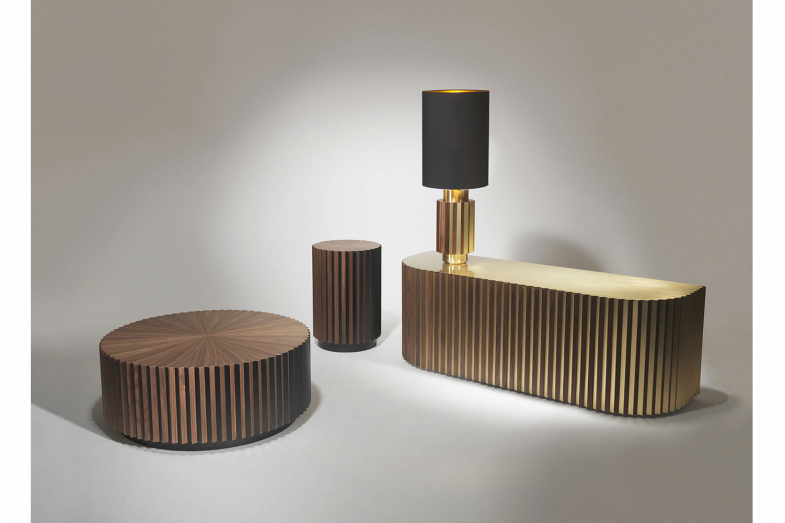 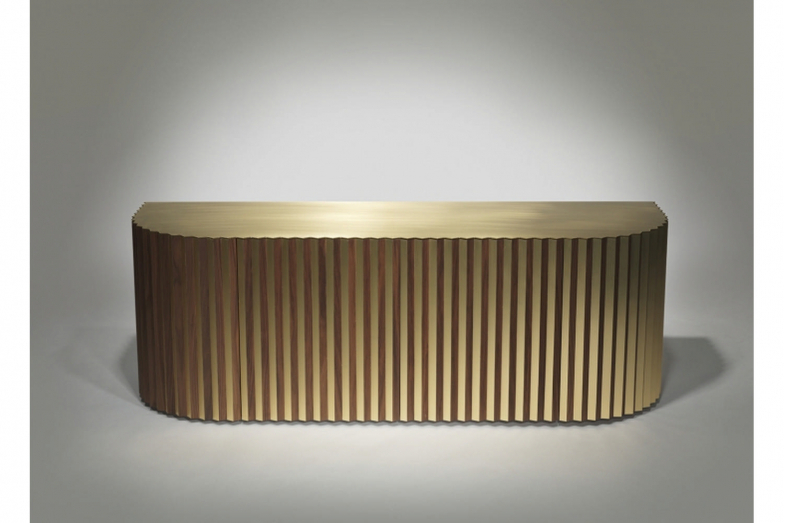 Sitting under a solid 3mm thick piece of brushed brass, a series of triangular facets run vertically down the front of the cabinet with one side in American walnut and the other in brushed brass or black inlay. 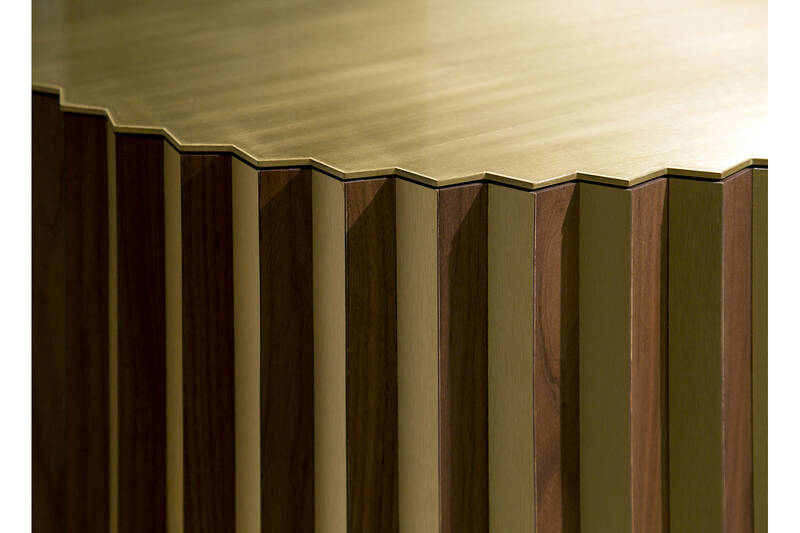 From one angle the cabinet appears to be all wood and from the other all brass depending on your viewpoint. 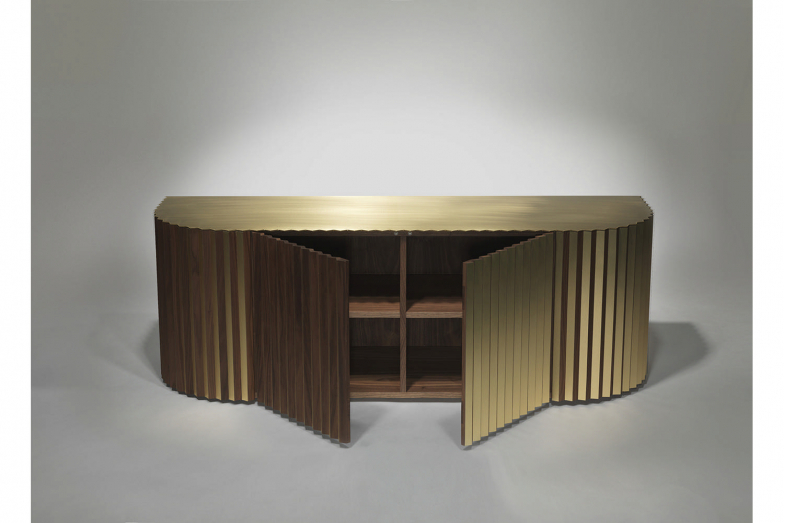 The cupboards are all cleverly disguised within the vertical framework.